The AT-802 Fire Boss is a low-wing amphibious aircraft cantilever monoplane all-metal construction. It is specifically designed to extinguish fires. 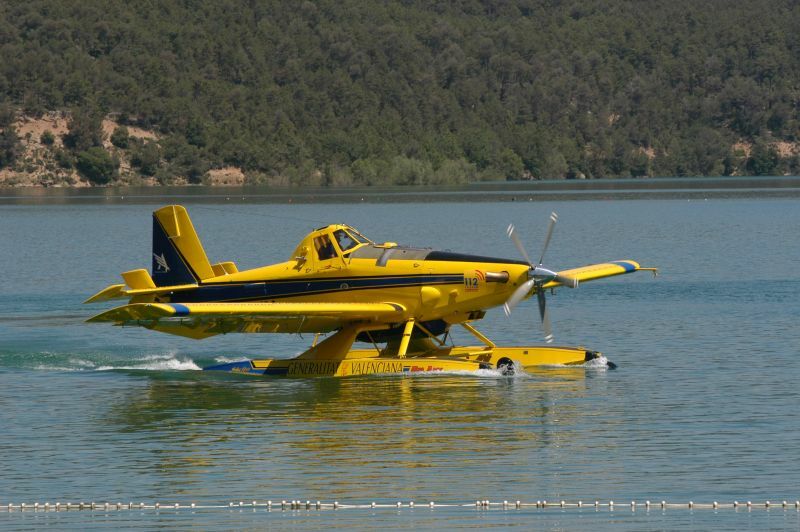 It is equipped with a cab and floats that allow you to land on land in water. The water charges are made both in swamps and sea in flight. The avionics compliant IFR instrument flight and air conditioning / heating electronics and autopilot. The power plant consists of an engine turboprop Pratt & Whitney brand PT6A-67AG model of eshp 1.430. 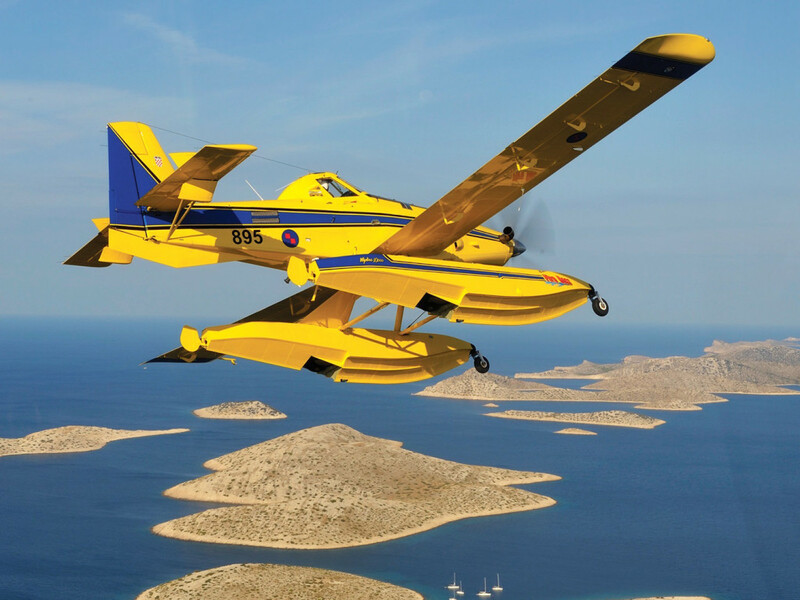 This engine is highly reliable and tailored to the type of flight requirements that require fire for power with high ambient temperatures, ease of maintenance, low noise emission, etc … The propeller used is a 5-blade Hartzell high performance and constant speed reversible step. The version used by Avialsa T-35, SL fuel tanks installed high-capacity, 380 gallons (1,438 liters), which gives a good flight range to operate from remote forest tracks or to make long flights forest monitoring. 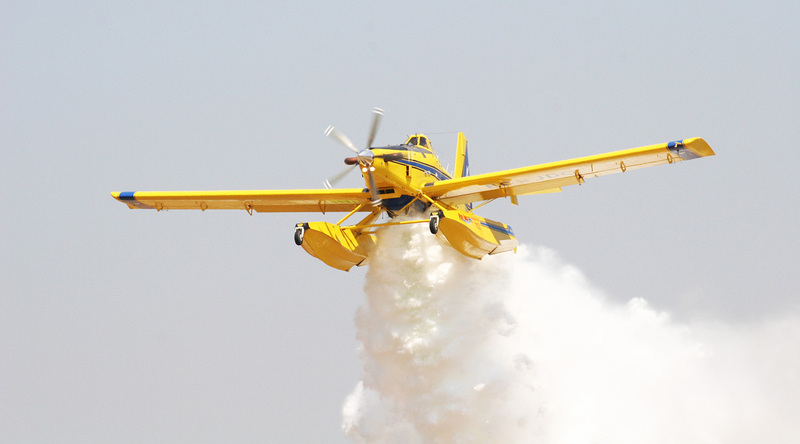 The high maneuverability of the AT-802 Fire Boss floats thanks to him permten land in the water and fill up the tank in midair, with a consequent increase in downloads in the fire. The versatility of the discharge that the discharge system provides computerized and programmable in terms of needs, make this plane get over the performance of many aircraft load capacity. 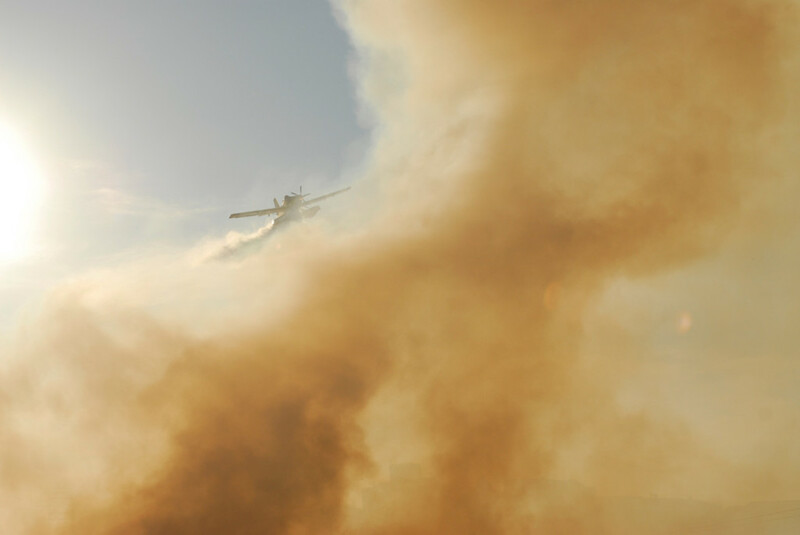 Moreover, the ability to operate from unprepared runways possible, to fill up near the fire in swamps and seas, help greatly to reduce the time of discharge cycles. 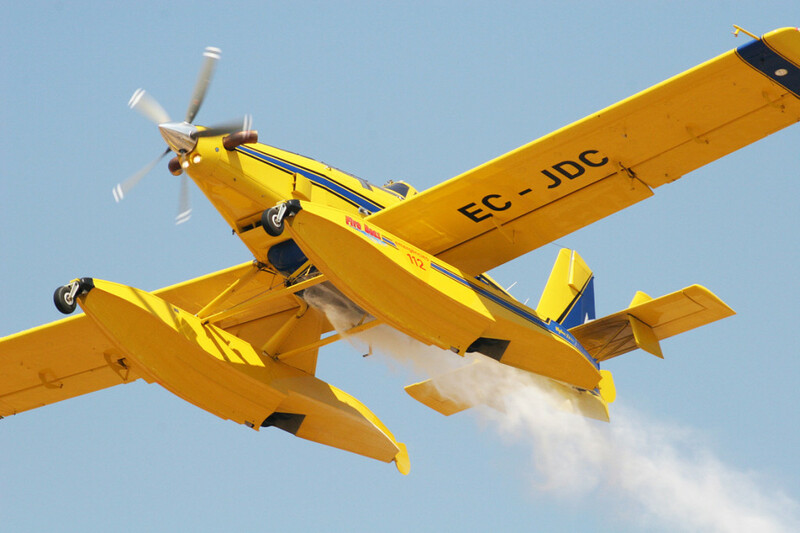 Another possibility for the AT-802 Fire Boss is to carry a separate tank for foam concentrate by means of a computer-controlled injector system, added to the water tank foam optimal proportion to the type of fire involved. This system is particularly suitable for forest patrol flights as if they do not detect any fire, the sparkling wine is returned to the base to be used on another occasion. 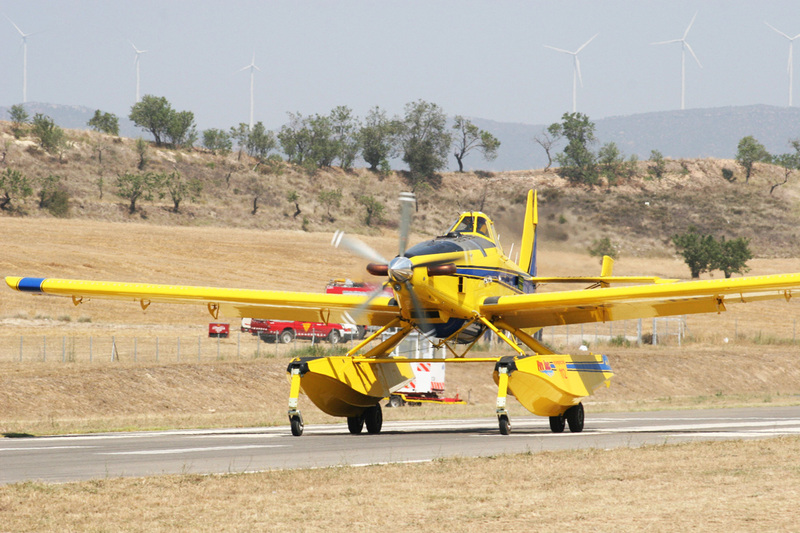 The AT-802 Fire Boss has a feature that sets it apart from any other firefighting aircraft and is that you can land with maximum takeoff load (7258 kg), ie that can land with a load on the 3990 kg hopper thanks to its extremely strong flotarores landing and braking system, sized for this purpose. This ability is recognized by the aeronautical authorities through an SCT.